The Mississippi River was the nation's original "super highway." Paddle wheel steamers carrying riverboat gamblers and cargo, moved up and down the river from New Orleans to St. Paul in the late 1800s. 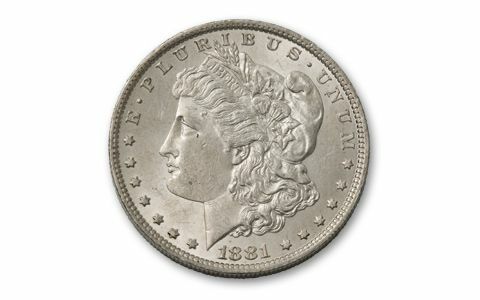 And, Silver Dollars like these 1881 Morgans struck at the New Orleans Mint, would have traveled the route in the passengers' pockets. These nearly-one-ounce 90% silver 1881-O Morgans are in the Brilliant Uncirculated (BU) condition collectors covet. 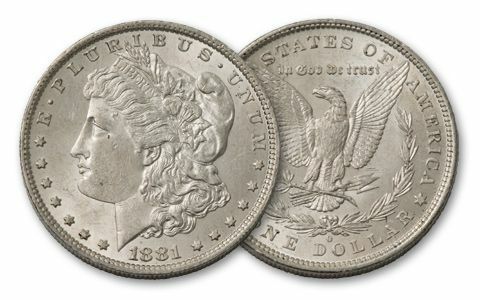 When you consider that only 20% of the Morgans struck in 1881 are from New Orleans, you get the picture of how tough this 90% Silver Dollar is to find. 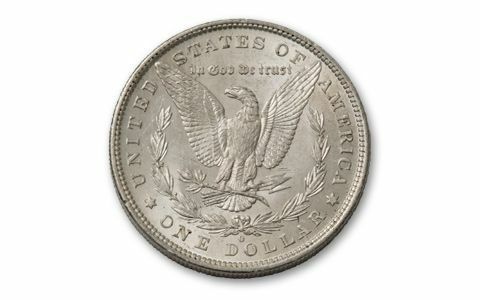 Add these lustrous Silver Dollars to your collection now!